Nineteen Ninety More a fost lansat în data de 8 noiembrie 2011. Following up last year's best-selling and critically acclaimed release; "Nineteen Ninety Now", comes an additional bonus set from the MC/producer duo of Celph Titled & Buckwild. Aptly titled "Nineteen Ninety MORE", this release serves as a companion title to the well received "Ninety Now." Due to popular demand and fan interest, this release features 4 unreleased songs from the original sessions which include guest appearances from Cella Dwellas, Outerspace (AOTP), Laws (J.U.S.T.I.C.E. League), Kwest (formerly Kwest Tha Madd Lad) and Lord Digga (Bluez Brothers/Masta Ace Inc). 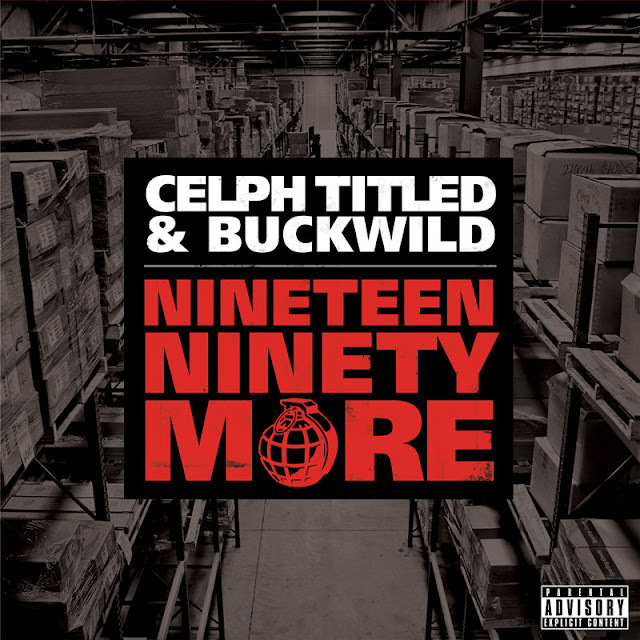 Also included are the 3 previously vinyl-only cuts "The Celph Titled Show", "Nothin' To Say (feat. Rise)" and "There Will Be Blood [Remix] (feat. DITC and Brand Nubian)". In addition, all the instrumentals for these songs are gathered here as well. This is the perfect addendum for anyone who owns "Ninety Now" and is an essential piece for any Buckwild/DITC production enthusiast. • In-demand additional material from the sessions of "Nineteen Ninety Now"
• Authentic mid-90's era vaulted beats from DITC's own, the legendary Buckwild.